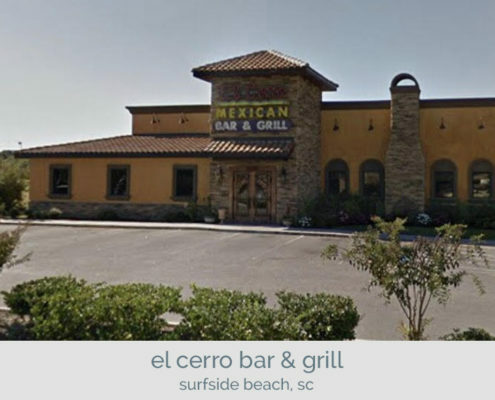 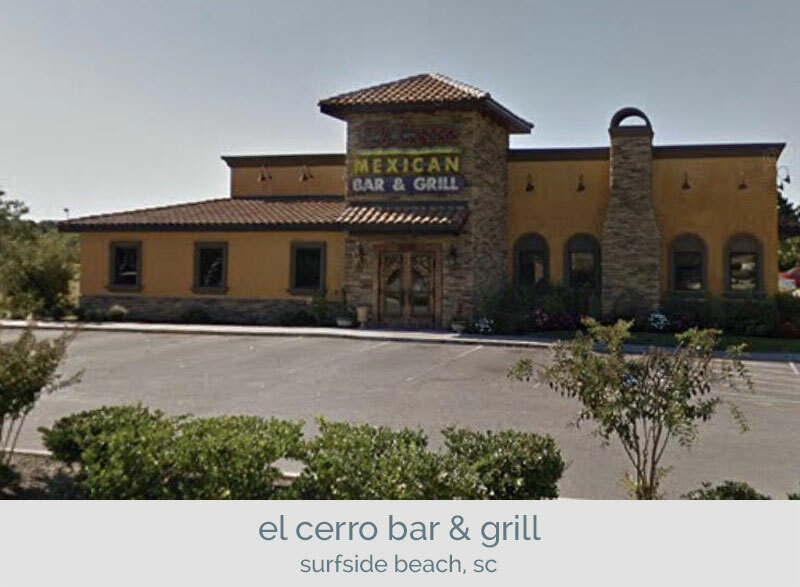 A new build in the Surfside Beach area, this was our first project for the El Cerro Group. 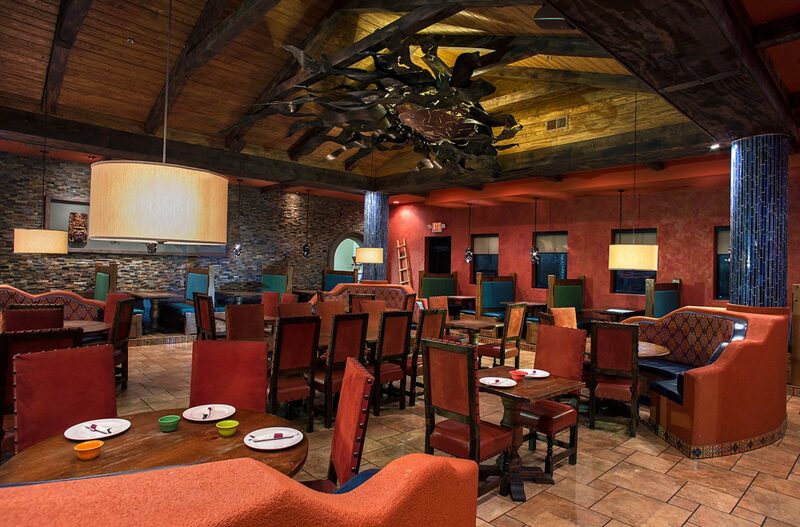 Emphasis was put into layering traditional rich colors and various Mexican traditions. 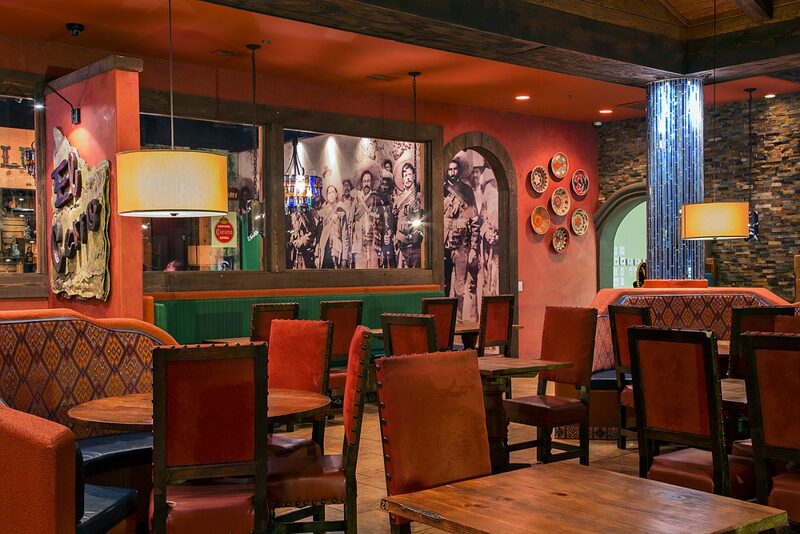 The dining room walls are a color palette of layered glowing oranges. 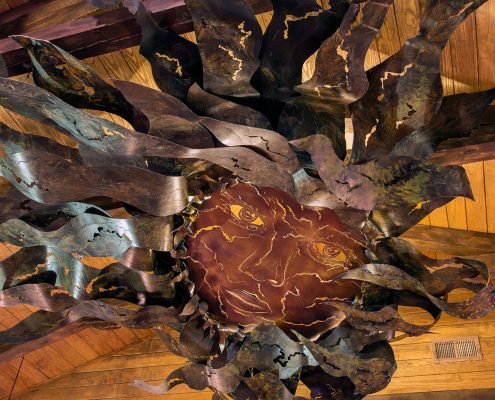 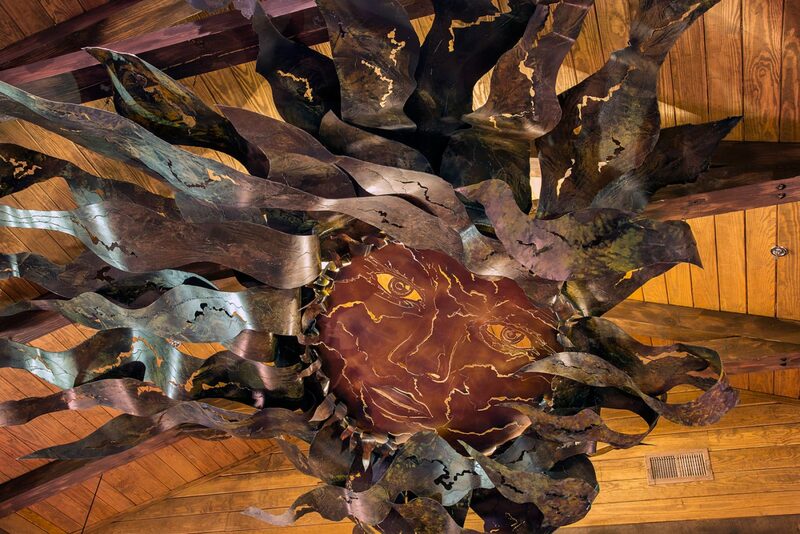 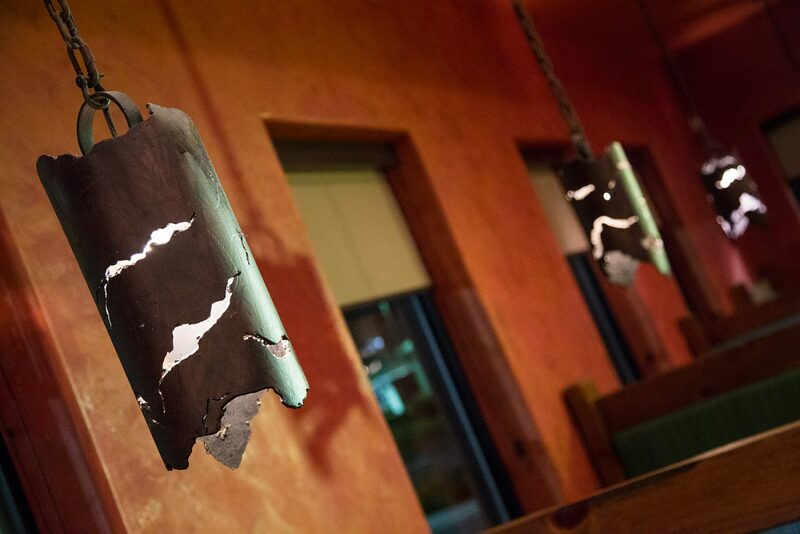 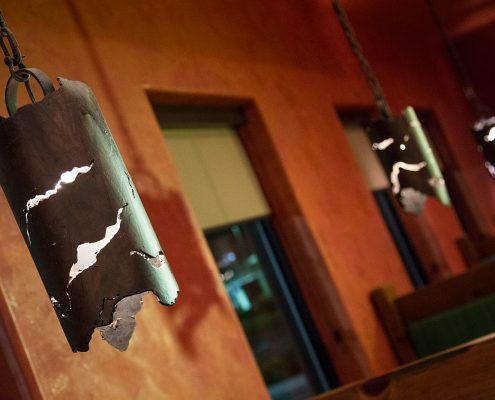 A large metal sun sculpture suspended over the tables as well as one-of-a-kind metal pendants highlights the dining room. 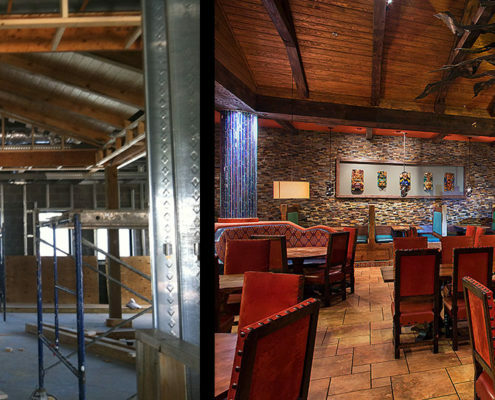 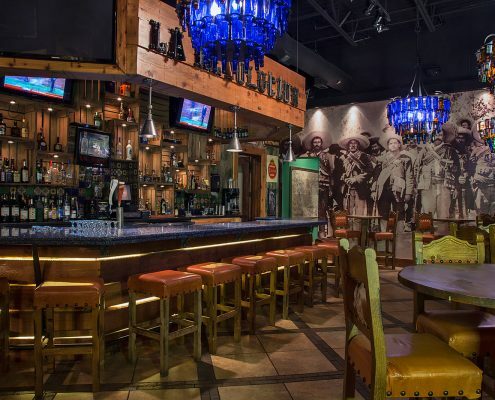 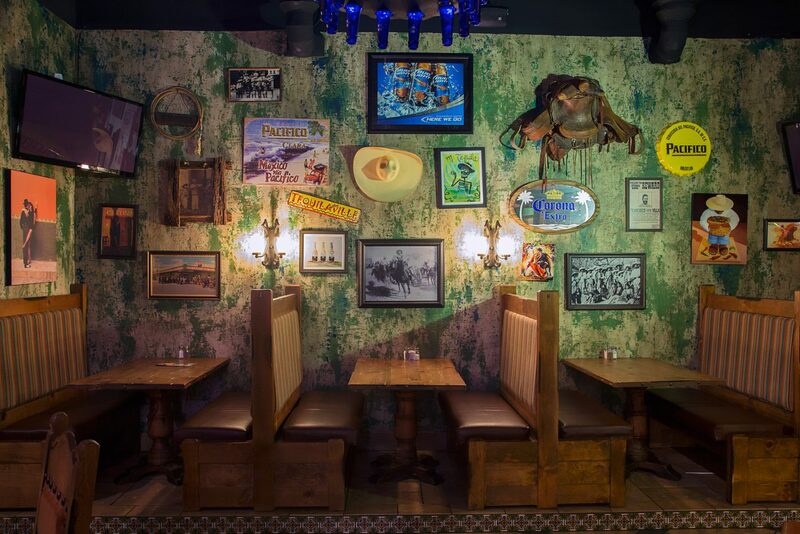 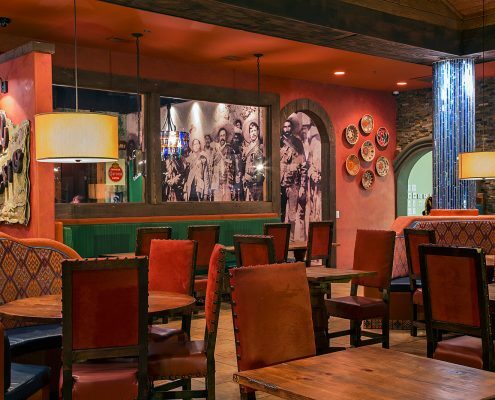 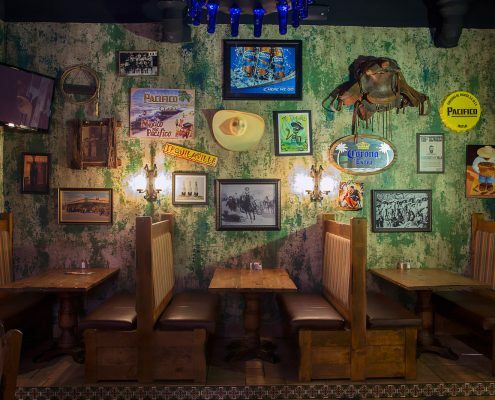 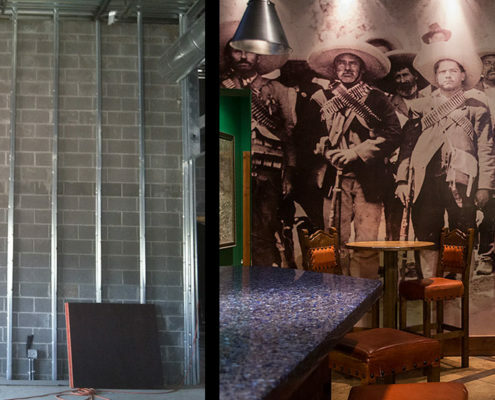 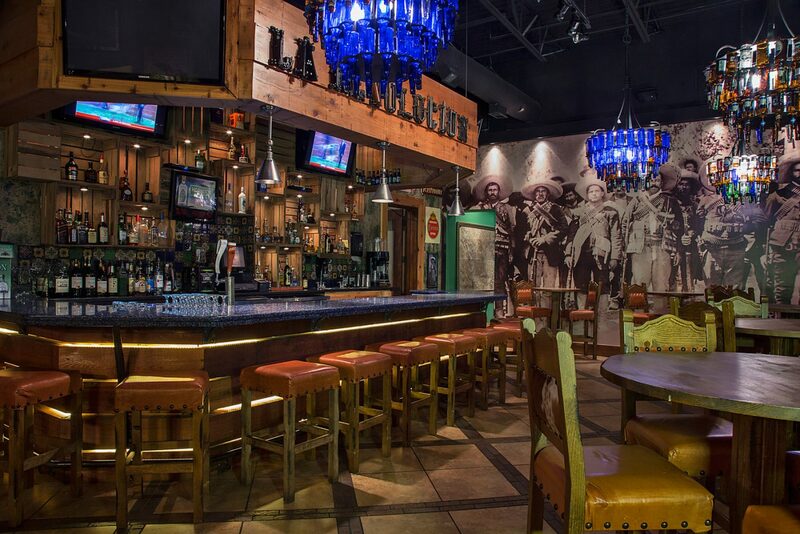 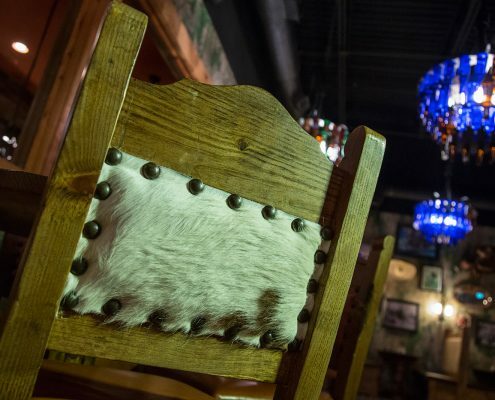 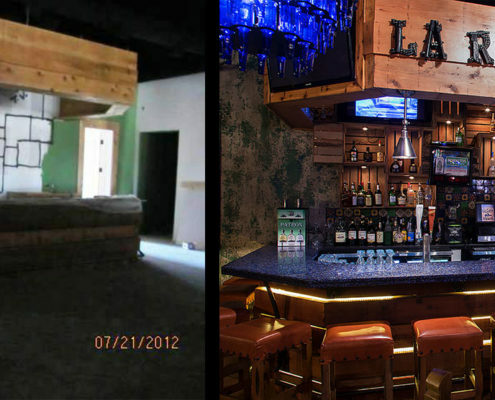 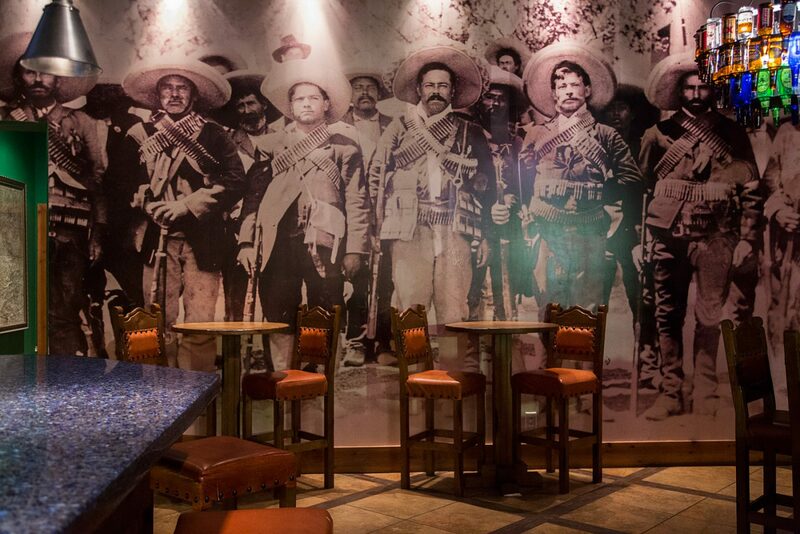 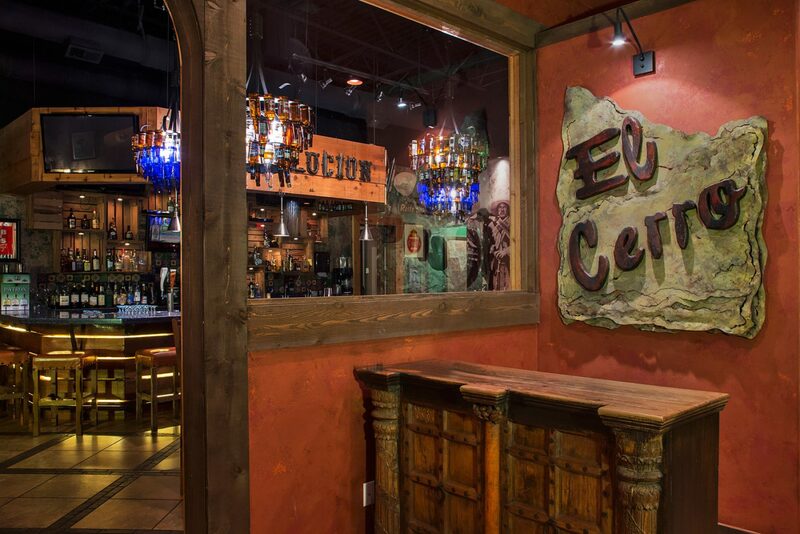 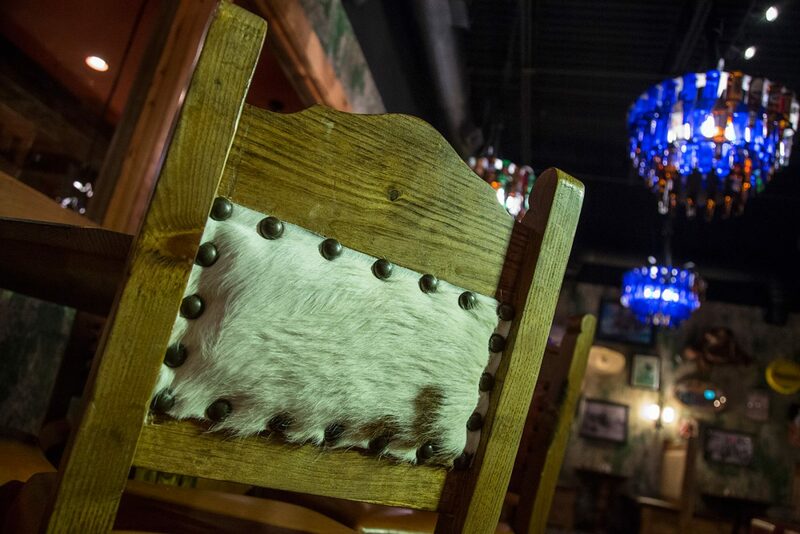 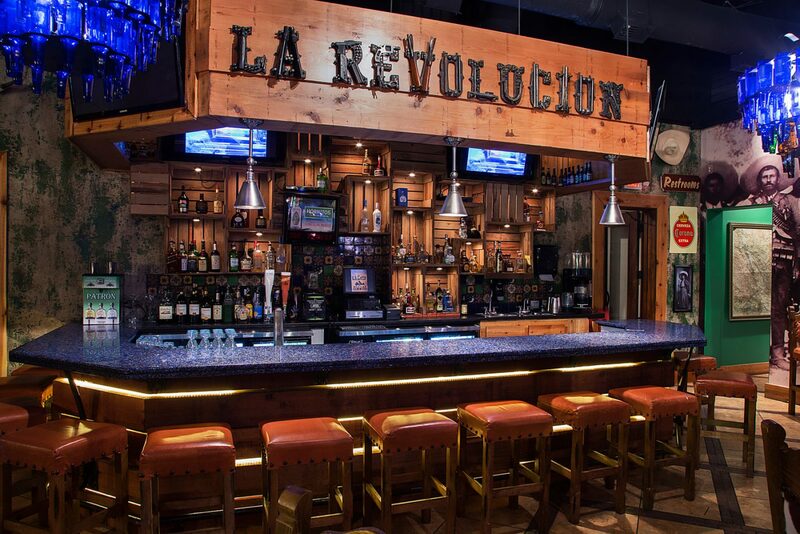 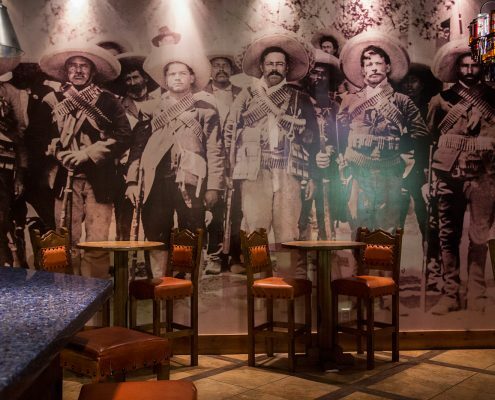 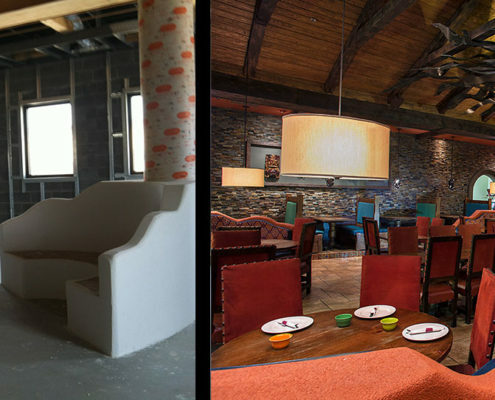 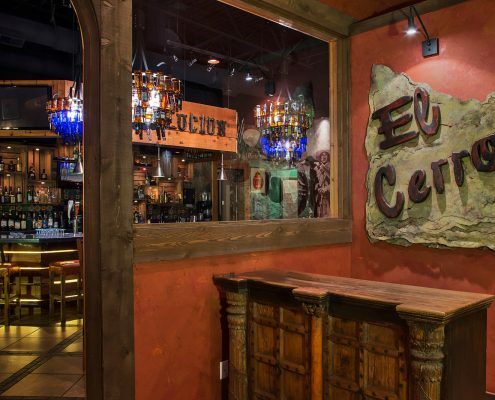 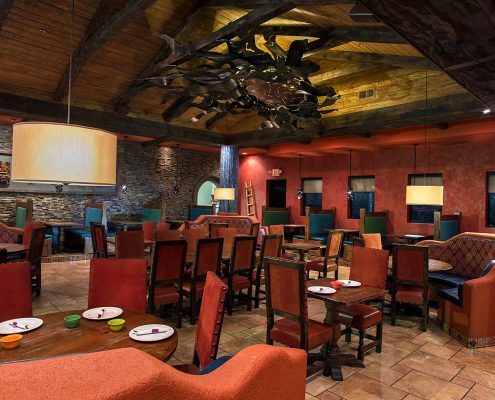 The inspiration for the bar area came from the large wall graphic of Pancho Villa and the Revolutionary army. 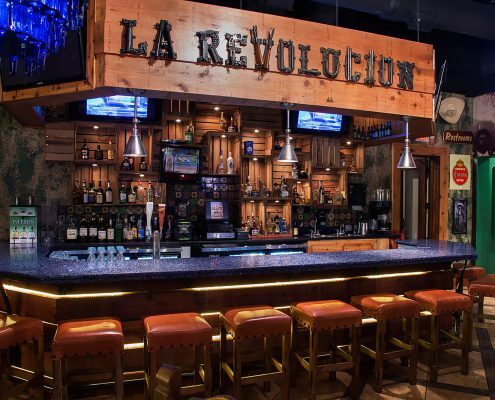 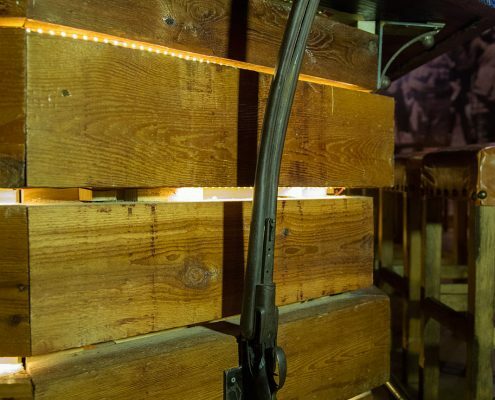 Repeating the bullets depicted in the mural, the signage over the bar was created from gun parts and bullets spelling out “La Revolution”. 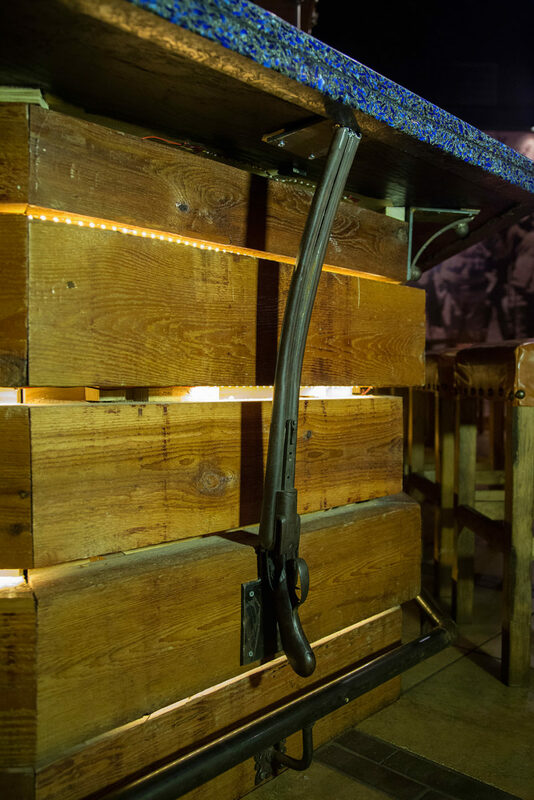 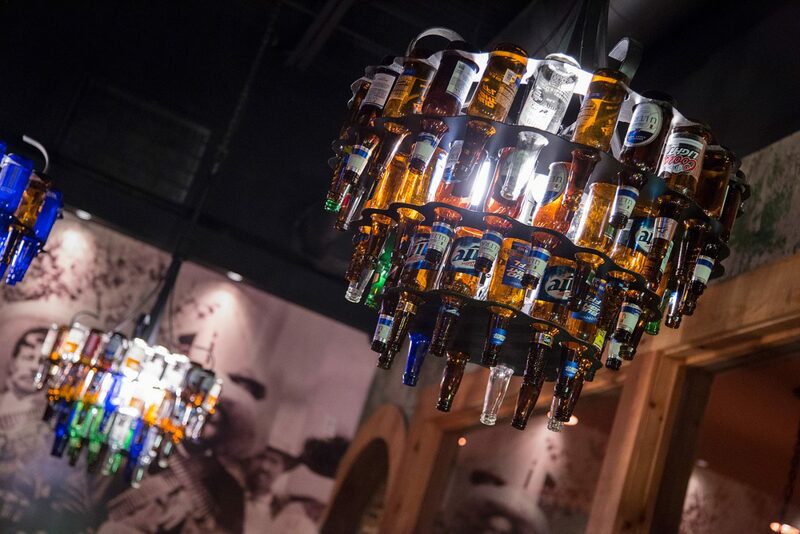 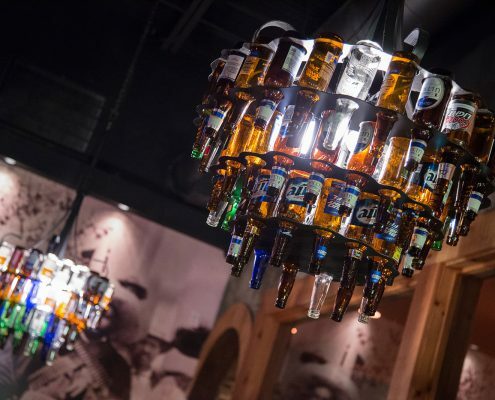 The bar top is made from recycled Sky Vodka bottles and concrete, while beer bottle chandeliers hold 54 bottles of customers’ past happy hours.